Hasbro have announced the launch of the Monopoly World Championships, with regional heats set to take place across the UK and Ireland. 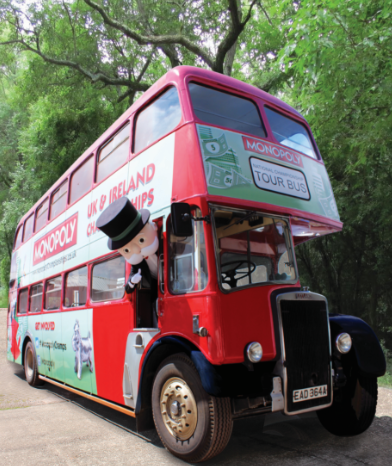 On Saturday 27th June, a specially designed double-decker bus, fitted with ten Monopoly tables, will be visiting Cardiff Celtic Manor to find the world’s best Monopoly player! Fans can register using www.monopolychampionships.co.uk for a chance to compete for a spot in the UK and Ireland final at The View From the Shard, with the winner travelling to Macau to represent their country at the Monopoly World Championships.